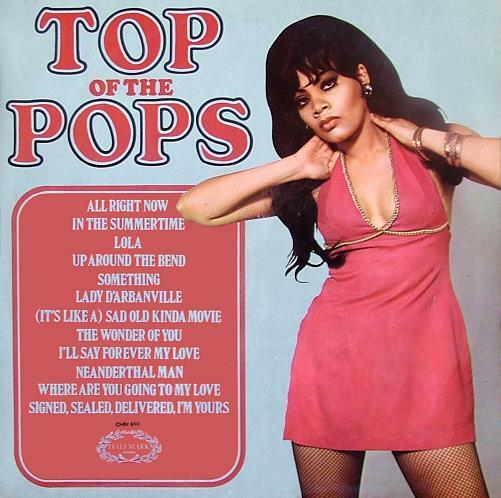 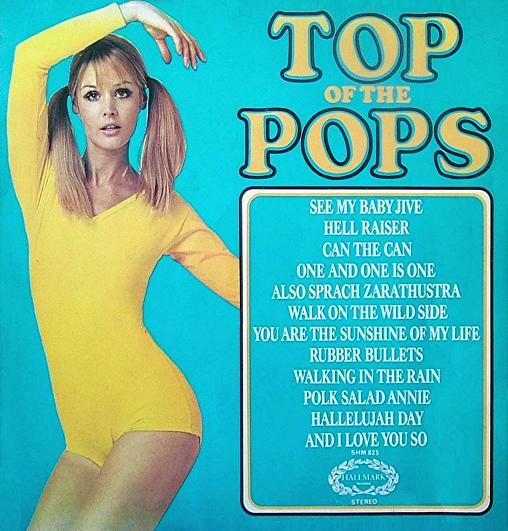 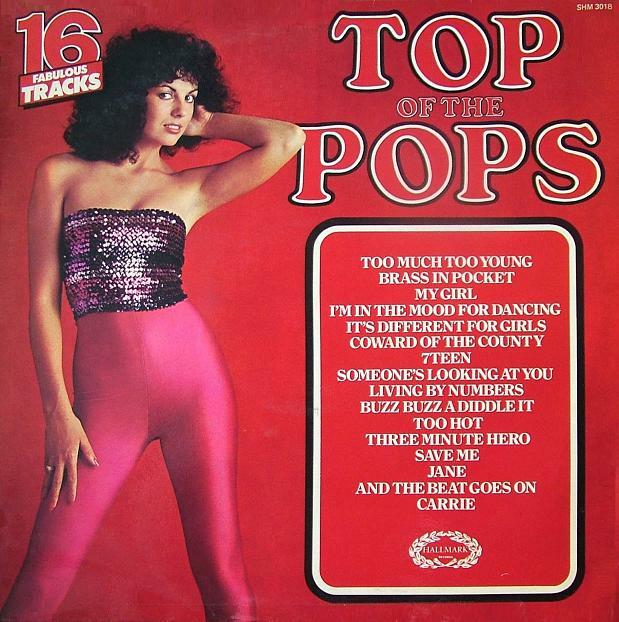 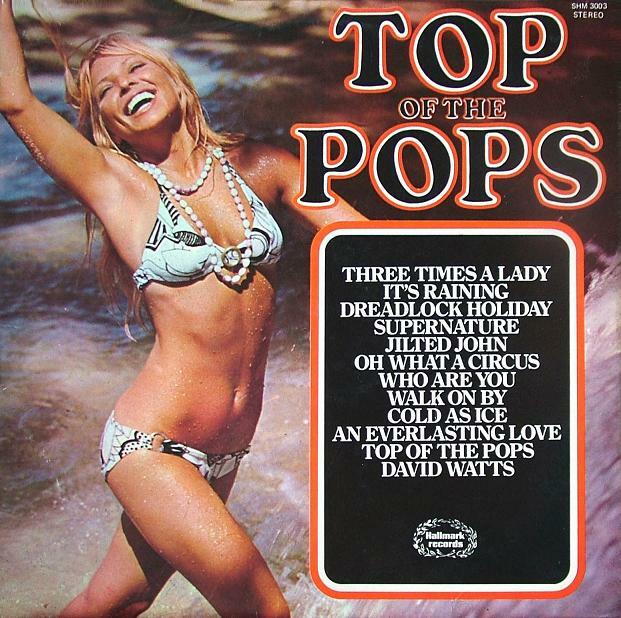 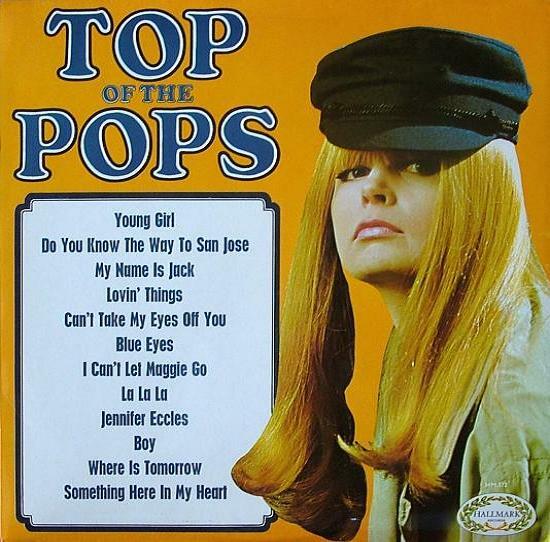 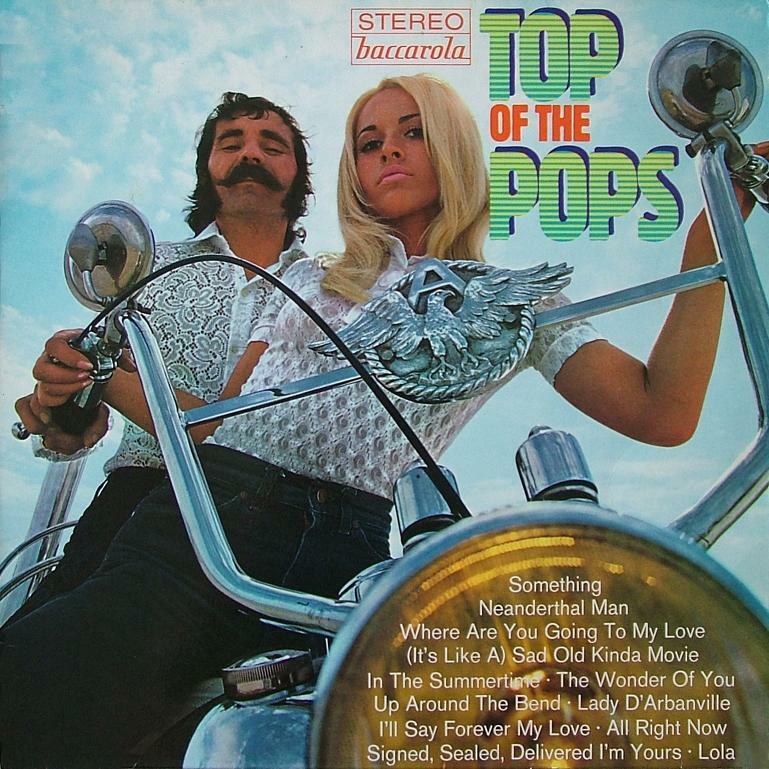 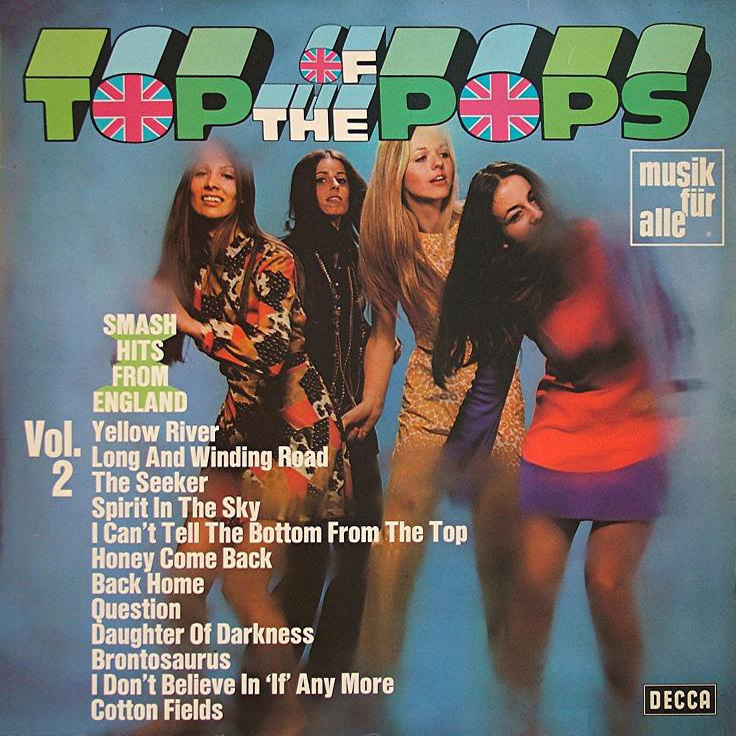 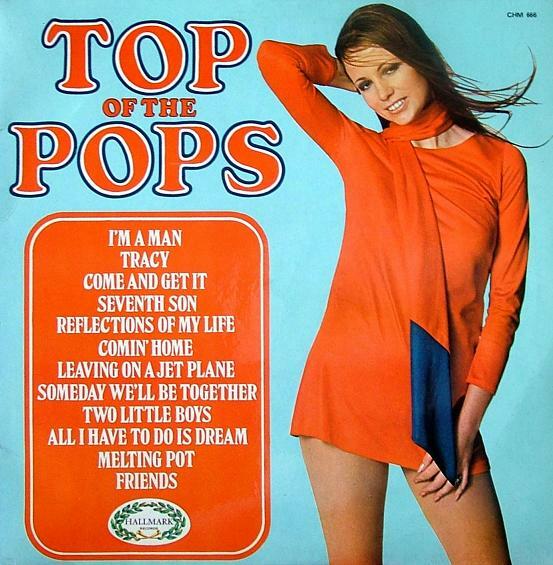 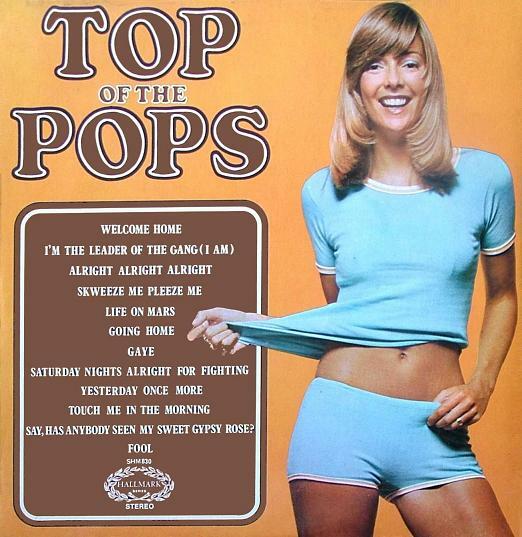 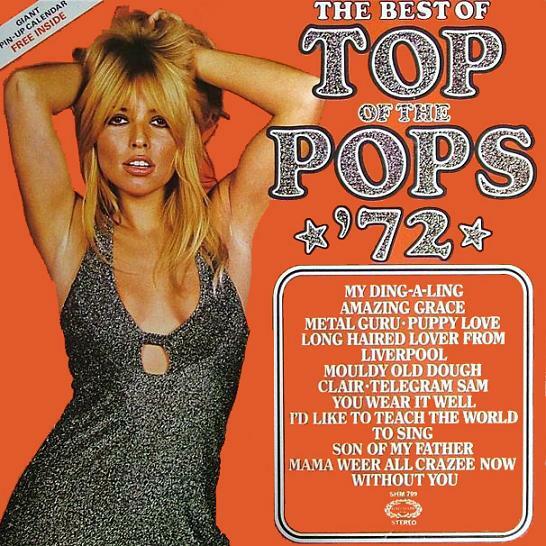 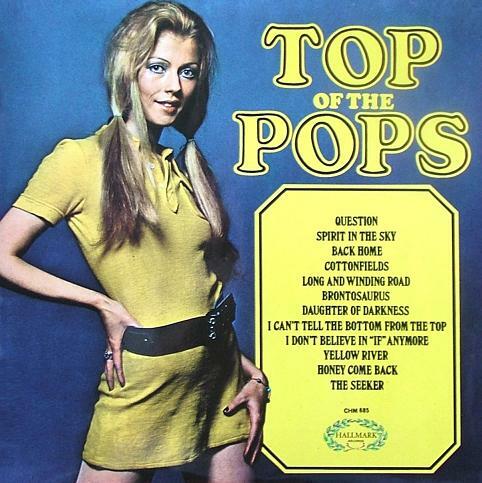 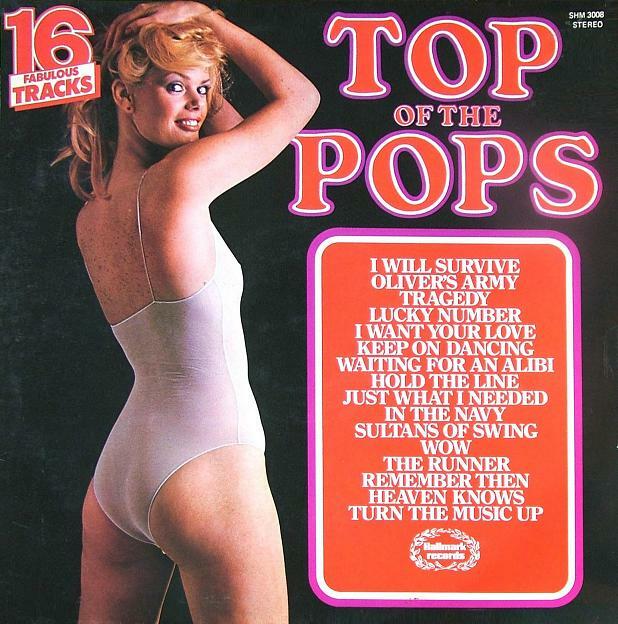 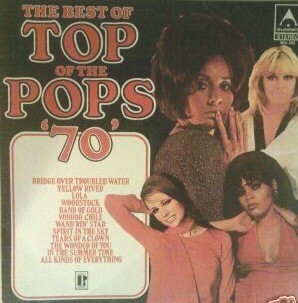 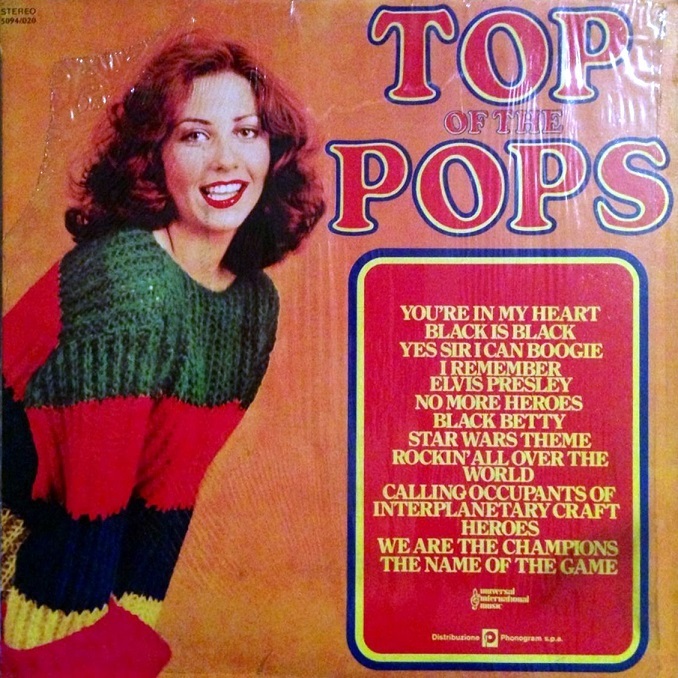 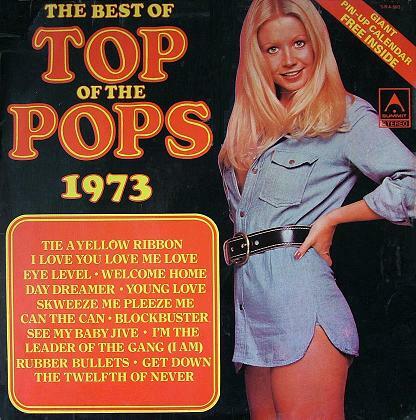 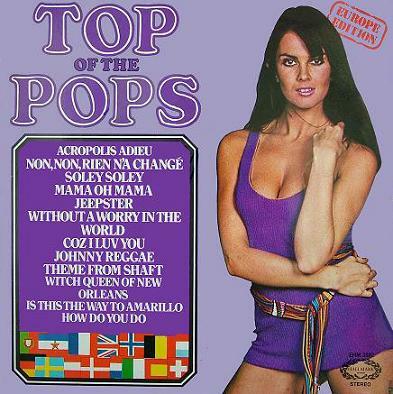 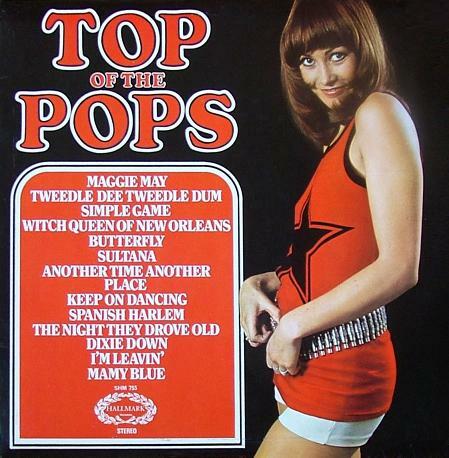 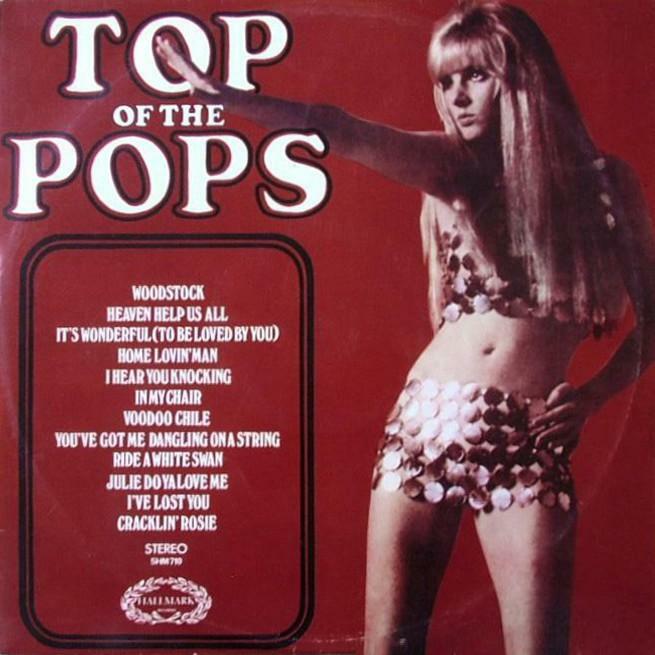 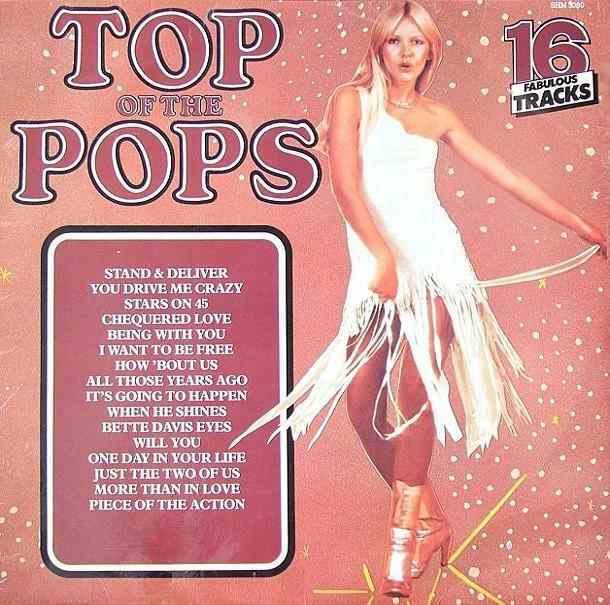 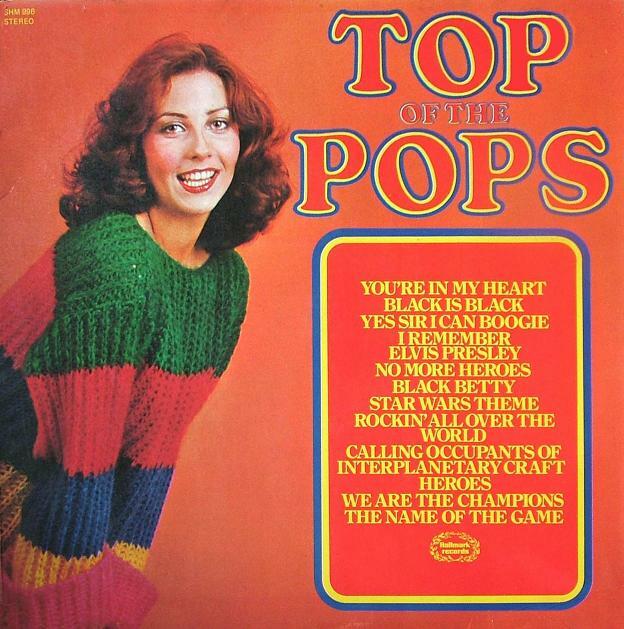 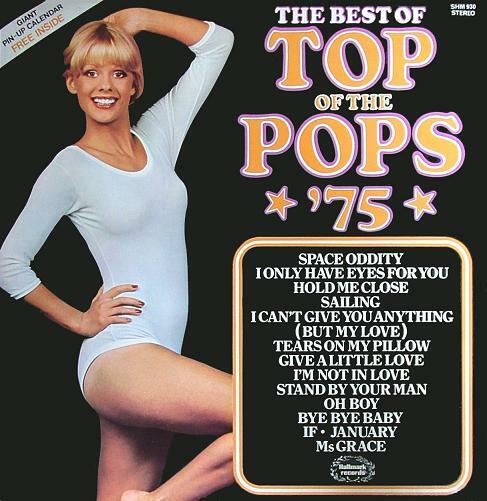 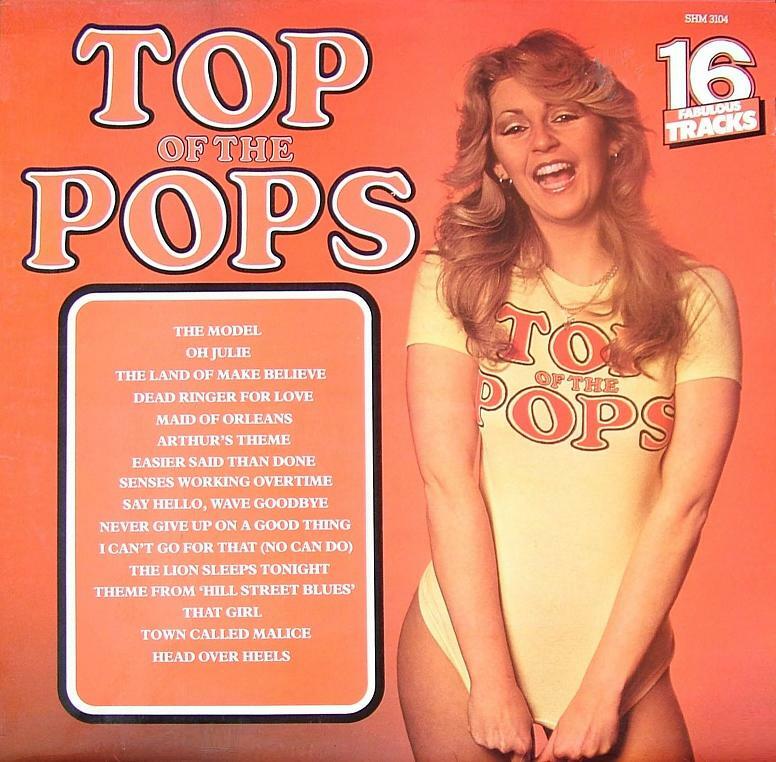 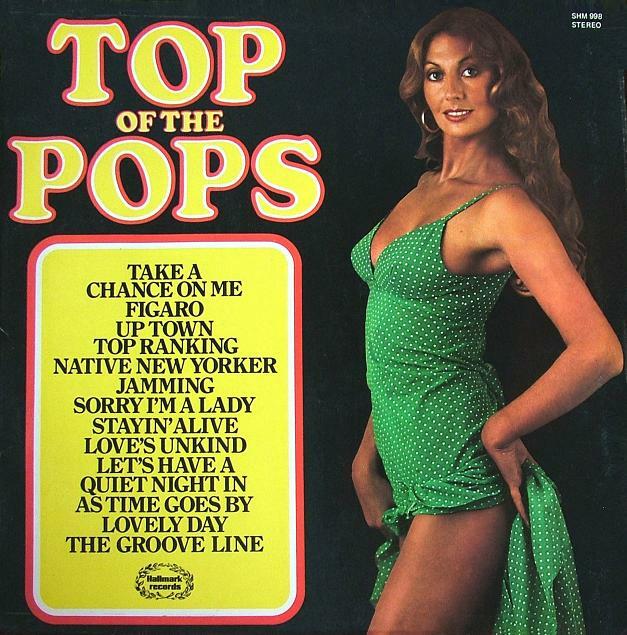 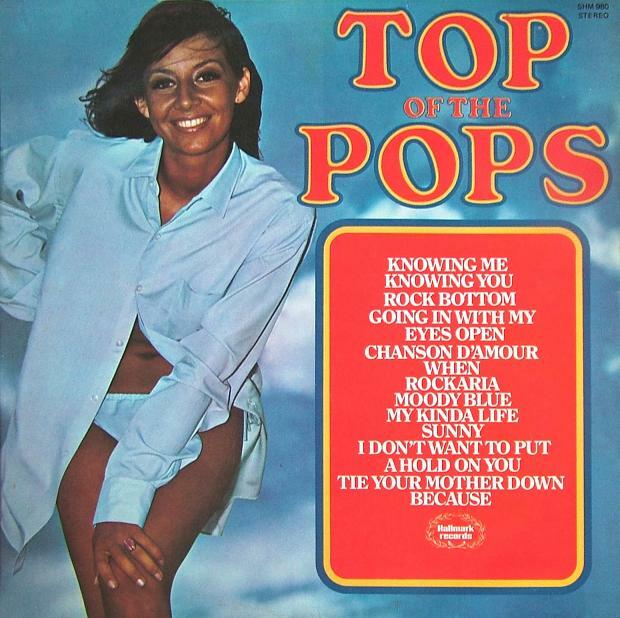 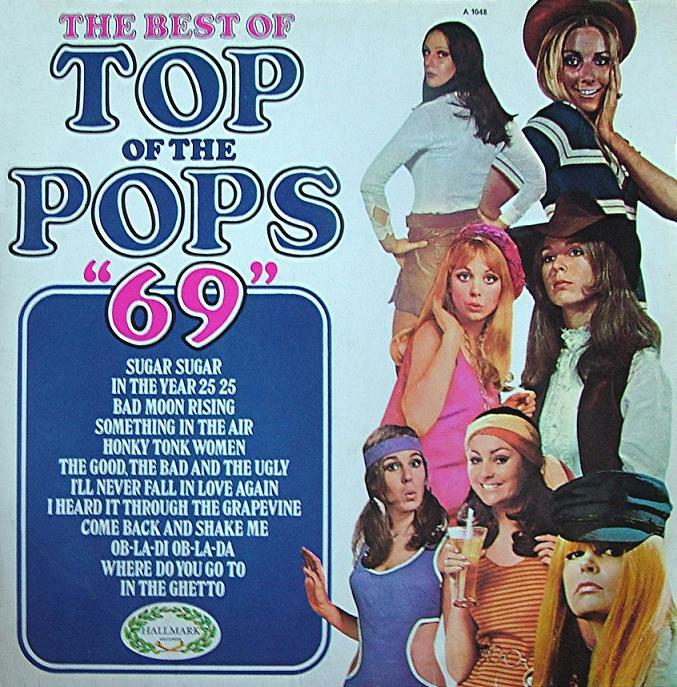 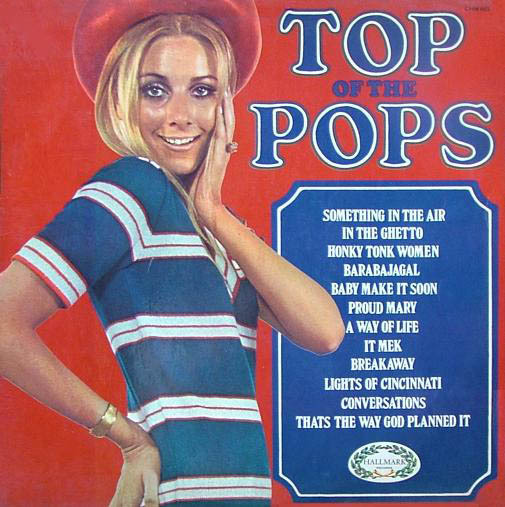 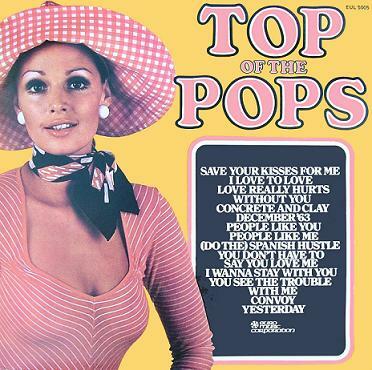 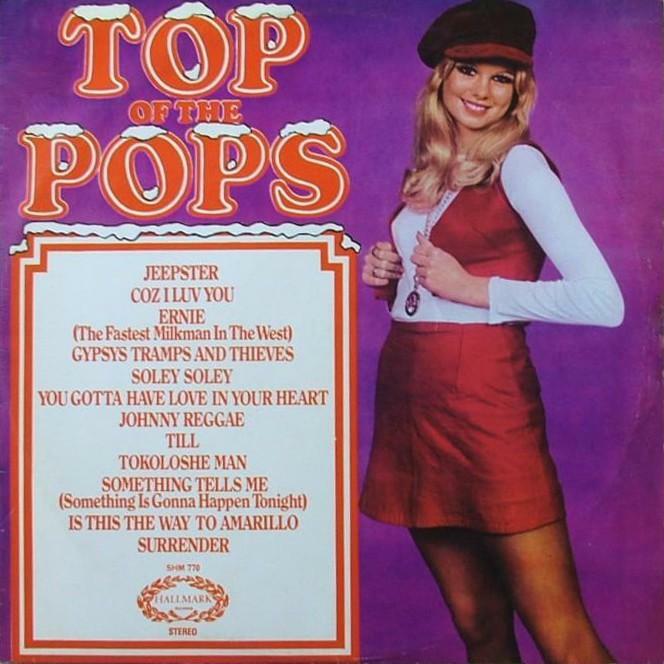 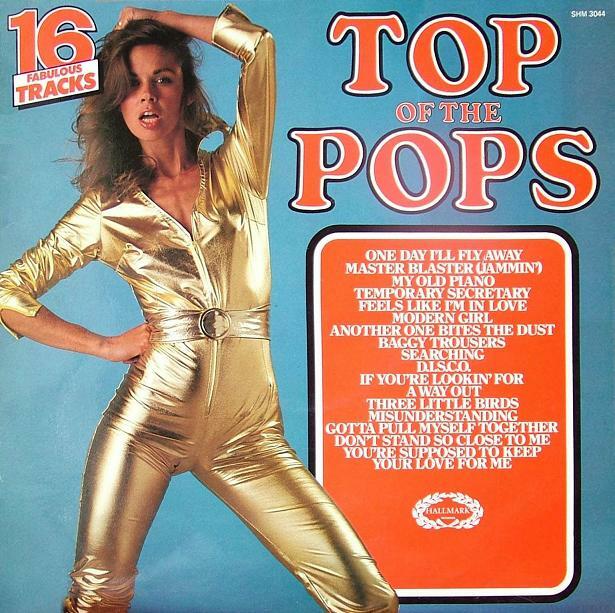 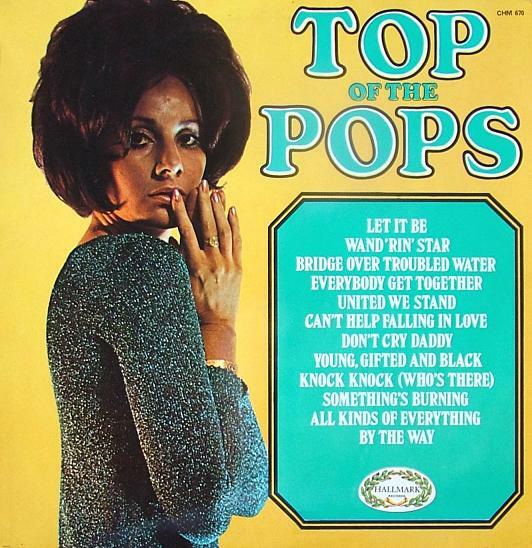 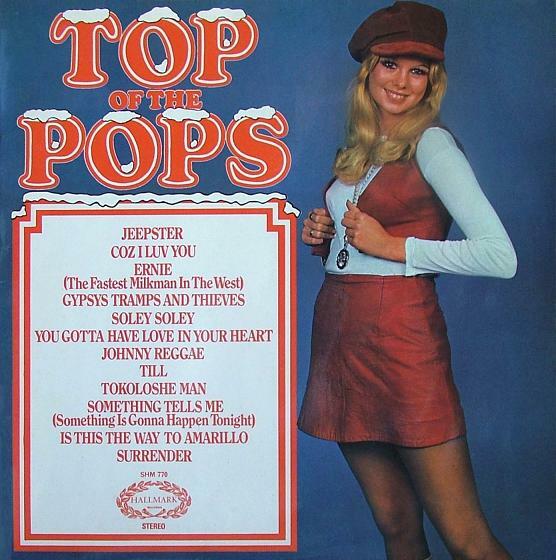 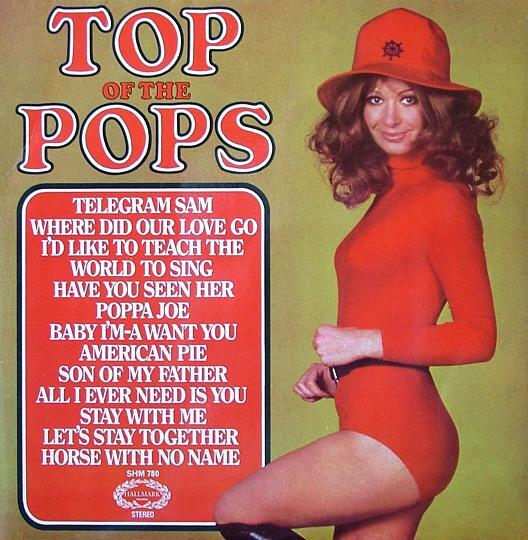 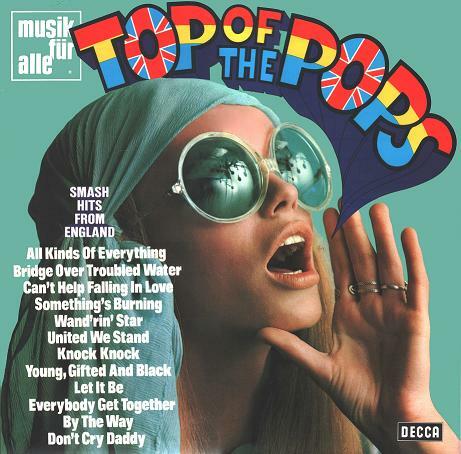 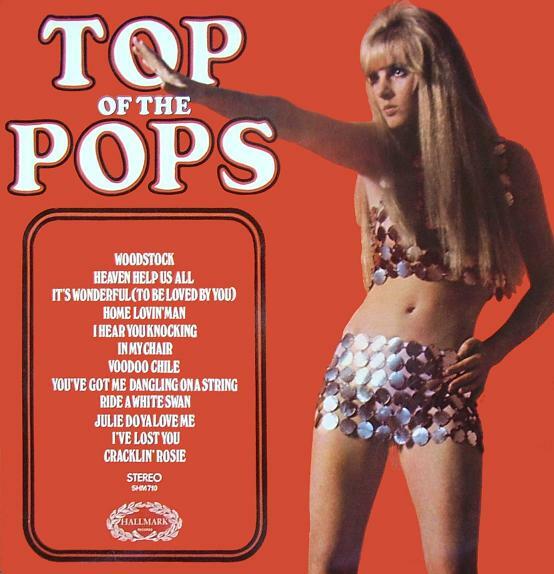 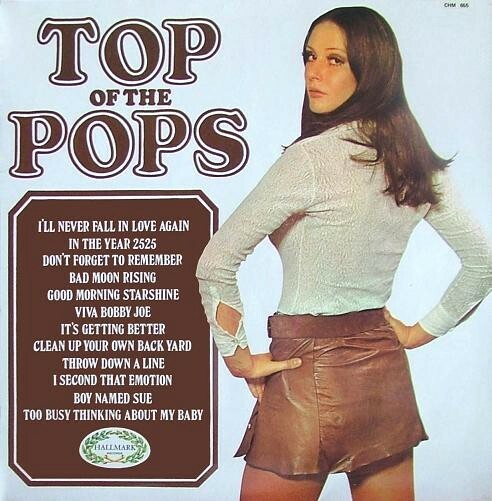 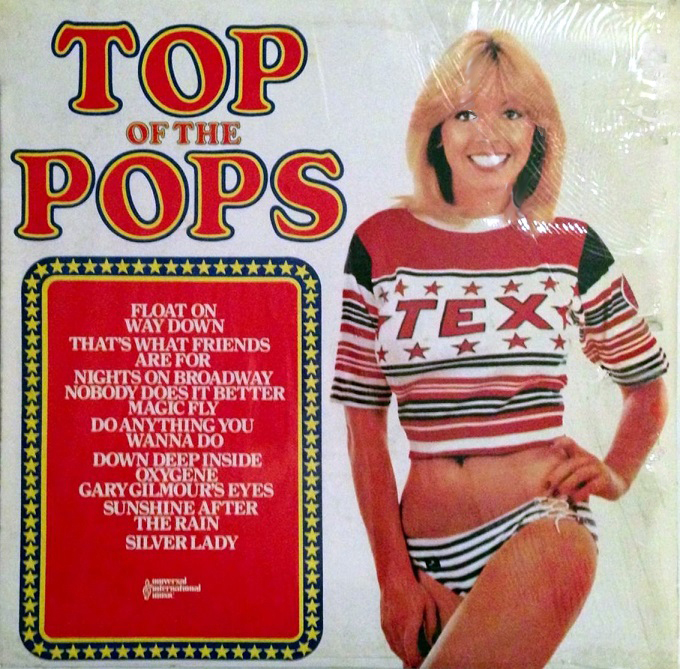 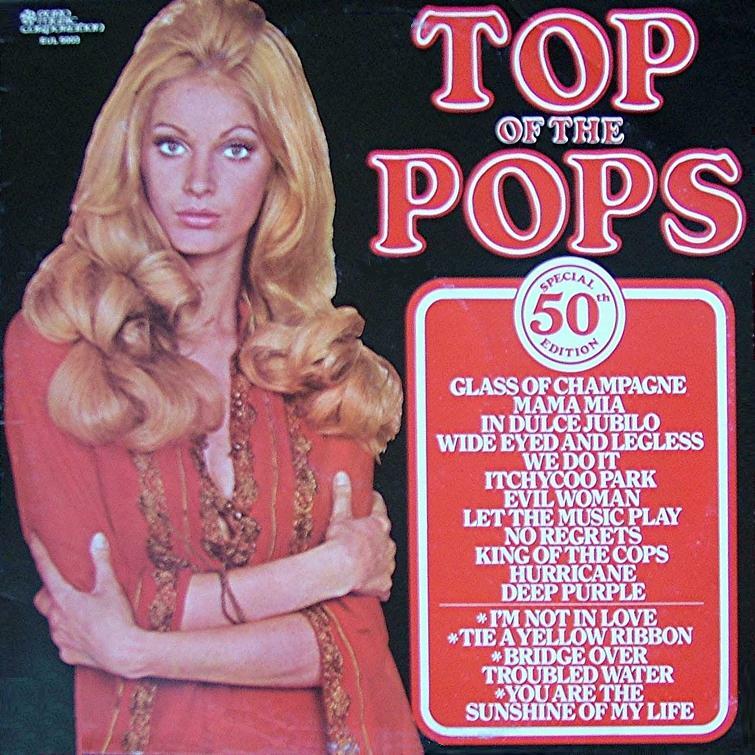 The TOP OF THE POPS series of albums by Hallmark ran from 1968 until 1985. 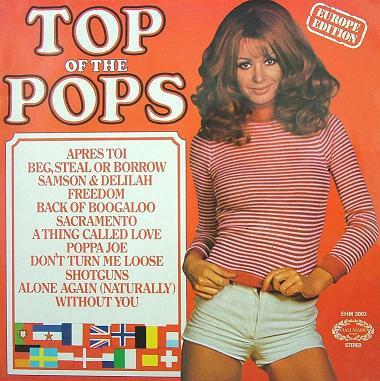 Despite sharing the name with the popular BBC programme they are not linked. 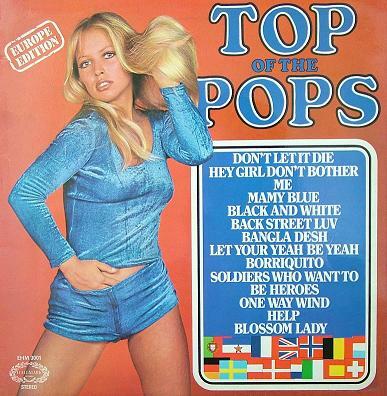 The covers are very distinctive with bold colours, funky font and of course a usually semi clad lady. 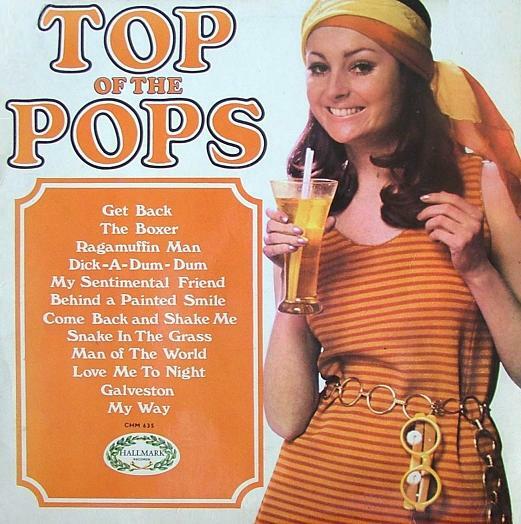 I get these tweeted to me quite a lot @badalbumcovers I think they are too iconic (and sexist) to tweet them all so I have tried to collate as many as I can find and put them here instead.